targeted a government complex housing offices of the Inter-Services-Intelligence or ISI, which is the country’s main spy agency and which directs Pakistan’s counter-terrorism campaign. 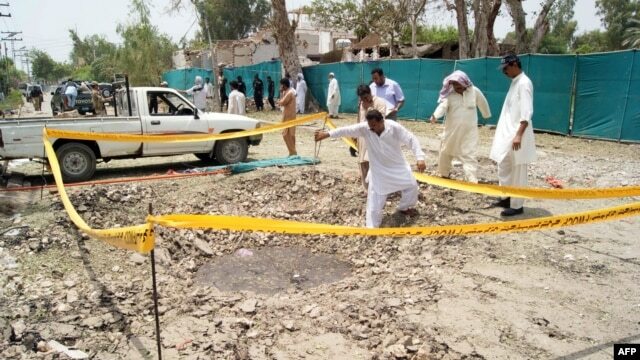 Officials say the attack began when a suicide bomber rammed an explosive-laden car into a secure wall of the facility while a second bomber detonated his explosives inside the compound and three others started firing at security guards. The shootout lasted for more than an hour and left the three attackers dead. Authorities have confirmed the deaths of three ISI officers and one of their civilian colleagues in the attack. Some 40 people were reported wounded in the blasts and the ensuing gun-battle. Taliban extremists have in the past carried out similar raids against ISI facilities around the country but terror attacks in Sukkur are rare. The incident has reignited criticism of the new government headed by Prime Minister Nawaz Sharif for not devising a national security policy despite repeated promises to do so. Former law minister Ahmer Bilal Sofi says the government urgently needs to reform the legal framework to enable security forces to effectively deal with the threat of militancy. He says the existing anti-terrorism legislation was introduced in 1997 to primarily discourage growing sectarian violence at the time but it is not helpful combating terror suspects linked to the Taliban and the al-Qaida network who are attacking the state of Pakistan. The former law minister says the Pakistani military has detained more than 700 suspected hardened Taliban militants in counter-militancy operations in areas near the Afghan border in recent years. He says these detainees pose a big challenge to Prime Minister Sharif’s government because of limitations in Pakistan's legal system have prevented authorities from putting them on trial out of fear they may be set free to fight again. Sofi says at the same time the prolonged detentions are also raising legal questions. Pakistani Taliban and their al-Qaida supporters are believed to be using the country’s mountainous tribal regions on the Afghan border for terror activities inside the country. The bloody insurgency has killed thousands of Pakistanis in recent years. While the army has conducted major offensives against these extremists, suspected remotely-piloted U.S. drones have also launched frequent missile strikes against their hideouts. TTP commanders told reporters Wednesday’s attack in southern Pakistan was launched to avenge the killing of their senior commander, Wali-ur Rehman, in a suspected U.S. drone strike in the Waziristan border district. 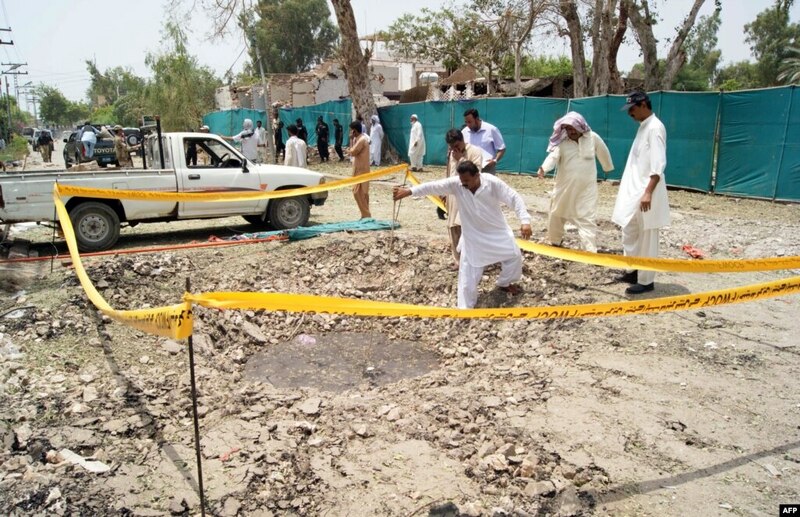 The militant outfit promised to continue their attacks alleging the ISI is secretly helping in the U.S. drone operation. Pakistan denies those allegations and instead publicly criticizes Washington for launching the missile attacks on its territory, saying they violate the country’s sovereignty.